This item has been discontinued by the manufacture. 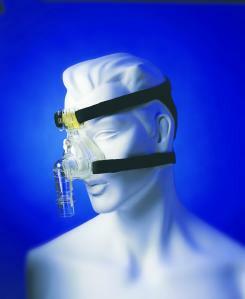 Great news Respironics has released their latest CPAP Nasal Mask for the Comfort line. With this mask, improved comfort starts at the point of contact. The outer membrane fills with air to create a comfortable seal. Thicker inner layer provides a secure fit and dual-position gel spacer molds to the user's forehead for added comfort and stability. The headgear attachment points are positioned lower on the mask to enhance patient comfort. Also, with the three piece design, it is easy to maintain the mask.